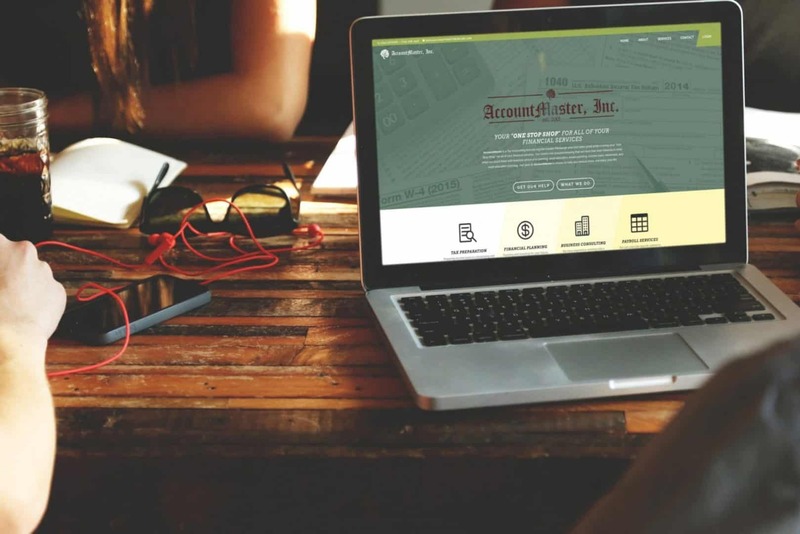 AccountMaster is a Tax Accounting firm serving the Greater Pittsburgh area that takes great pride in being your “One Stop Shop” for all of your financial services. Our Clients rest assured knowing that we have their best interests in mind when we assist them with financial advice and planning, asset allocation, estate planning, income taxes, retirement, and even education planning. Our goal at AccountMaster is simple…to help you reduce stress and enjoy your life. Accountmaster presented both front end and backend business challenges. 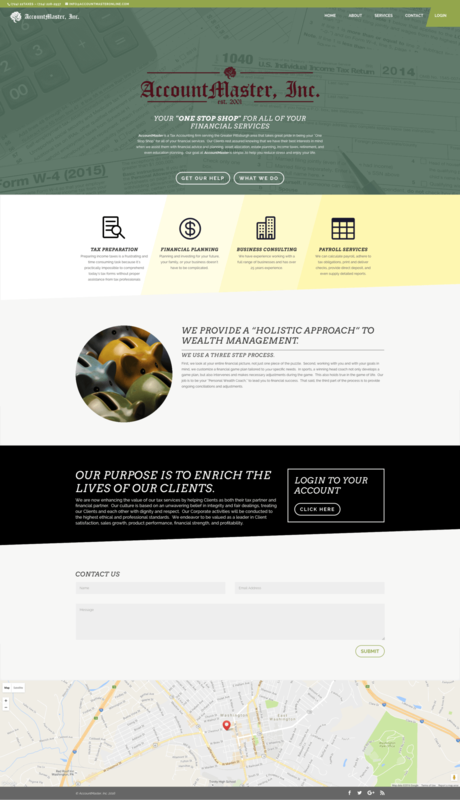 On the front-end, they requested a website that would allow their clients to access the web portal from information, yet also be modern and responsive. They asked for a design that strayed away from the stereotypical stuff accountant firm site, while still looking professional. On the backend, they needed a hosting client that also allowed them to have the ability to add email accounts and domain tools. After our discovery session, I researched other accounting firms and determined what information, content and visual cues were necessary for that sector of business. For the requested backend services, I reached out to several hosting affiliates to determine the most options for the best rates. Mr. D Studios was able to create a final design that proved to focus more on the client, their business, and futures instead of focusing on their finances. 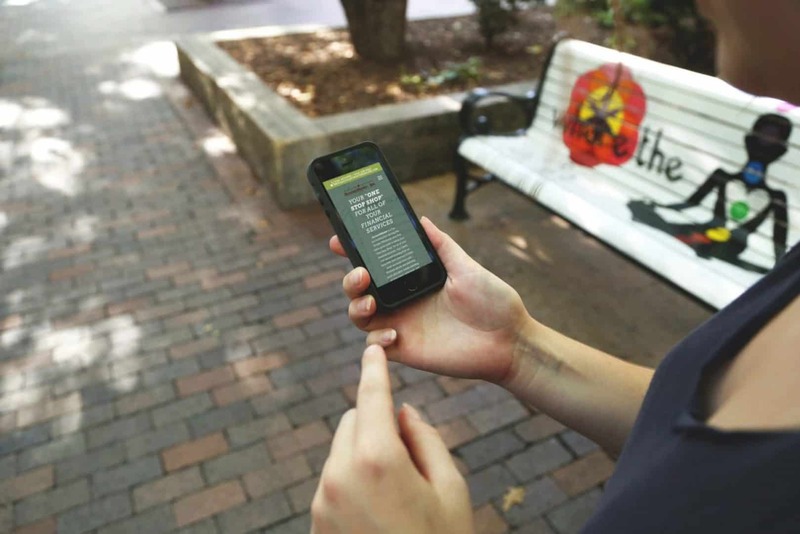 The new site also allowed easier access to Money Concepts – Accountmaster’s wealth management partner – from anywhere across all devices. Mr. D Studios also found a hosting plan that allowed for full backend management, support, and unlimited user emails. Need a site for your business?